Imagine that you have just completed a task that required concentration and focus. All you want to do is lay down and reward yourself. Don't you want a moment of delight to break up the routine? Mountain Dew would like to invent this drink for you. 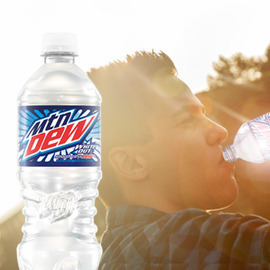 So, create a new drink concept that Mountain Dew will offer to reward young males after they have completed something they should be very proud of.